For over 50 years and crossing several generations, Banquet has created home-style frozen dinner meals for those hectic days when things have been completely crazy – when the answer to the question of “What’s for dinner, mom! 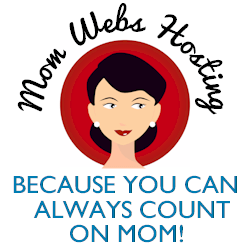 ?” is “I have no idea!” For those times, my first response as a Mom is to look in the freezer and figure out what we can heat up and make fast! Either that or it’s expensive take-out, which costs more money, time, or energy than I have left. Banquet sells more than 90 different products. I toss their Brown ‘N Serve sausages in my grocery cart for an easy breakfast option, and my kids love Banquet chicken nuggets. We just recently tried a couple of their kid’s meals and my girls were thrilled! Especially with the chicken fingers meal that comes with mac & cheese and a brownie that actually bakes in the microwave! At under $1.50 per meal, 3 cost around the same price of one fast food kid’s meal. As a way of saying “Thanks a Million” to their loyal customers over all these years, Banquet is giving away more than $1 million worth of redeemable cash prizes through April. 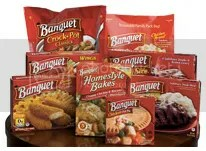 Look for Banquet frozen dinner meals with the “Thanks a Million” logo on the box. Each of these specially-marked packages will contain a special game piece, either one of over 16,000 redeemable cash prizes worth anywhere from $10 to $100,000, or a Banquet coupon. What’s better than that? A quick dinner on the table in minutes and a chance to find the equivalent of the “Willy Wonka” golden ticket! Read the official rules for more information.